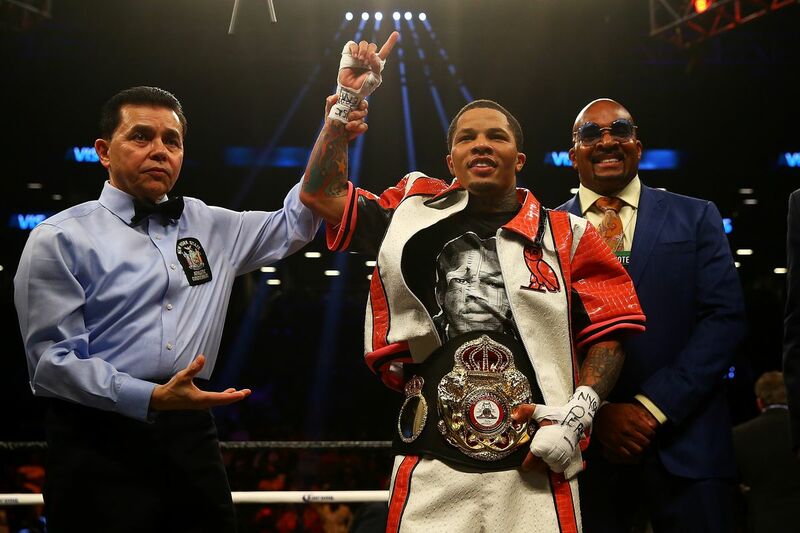 Gervonta Davis may be at odds with Floyd Mayweather, but at least he’s carrying on the TMT tradition of doing unbelievably stupid things outside the ring. TMZ reports that “Tank” was arrested and charged with disorderly conduct in Washington, DC this morning after a fistfight over a bar bill. Davis reportedly racked up a $10,000 charge and ultimately took the dispute outside. By DC law, disorderly conduct is a misdemeanor with a maximum charge of up to 90 days in jail and/or a fine of up to $500. This appears to have been a consensual biffing, so I don’t imagine he’ll have to worry about getting slapped with a battery charge. I am ok. Please do not judge me off of the media..they gonna paint me a bad picture every time. As far as his actual in-ring career, Davis was last seen mauling Jesus Cuellar in April to win the WBA “Super” super featherweight belt. Mayweather brought up the possibility of him facing Abner Mares by year’s end, but nothing’s come of that since the announcement two months ago.